Om lokah samastah sukhino bhavantu—”May everyone in the whole world be happy.” Amritavarsham50: Embracing the World for Peace & Harmony was many things, but resonating at the heart of the four-day celebrations was this ancient prayer. 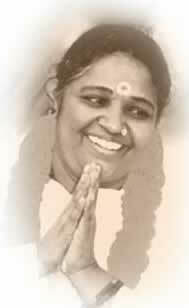 Amma, or Sri Mata Amritanandamayi Devi, is known the world over as the embodiment of love and compassion. Through Her charitable institutions and loving embrace, She has dedicated Her entire life to alleviating the suffering of the world. Amritavarsham50 was initially to be a celebration of Her birth, but Amma, in Her own humble way, transformed the event into a prayer for the peace and happiness of the entire world. In this age of isolation and separation, Amritavarsham50 was a true coming together, a confluence of hearts. In four historic summits, religious and spiritual leaders came together, as did those concerned about the status of women in society. There was also an international youth summit and a summit of business leaders aimed at fostering India’s development. Each day found more than 100,000 people coming from around the world out of their love for Amma and their gratitude for all She has done for the world. Even India’s President, Vice President and Deputy Prime Minister attended. Amma’s organisation, the Mata Amritanandamayi Math, inaugurated numerous new charity projects, such as free houses for the poor, an AIDS hospice, an old-age home and a massive legal cell providing free service to the poor. 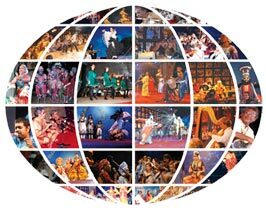 Each night there were cultural performances by legendary artists from around the world. And there was a massive peace prayer involving representatives of all the 191 countries comprising the United Nations. At the centre of Amritavarsham50 was, of course, Amma, doing the same thing She has done every day for the past 30 years—physically embracing and blessing everyone who came to Her.